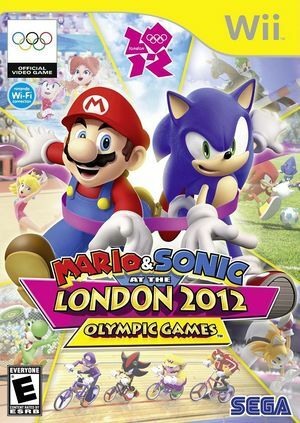 Mario & Sonic at the London 2012 Olympic Games (マリオ&ソニック AT ロンドンオリンピック) is a 2011 sports video game developed by Sega Japan. It was published by Nintendo for Japan and by Sega for North America, Europe, and all other regions. The game is officially licensed by the International Olympic Committee (IOC) through exclusive licensee International Sports Multimedia. It is the third installment in the Mario & Sonic series after the commercial success of its predecessors and is an official video game of the 2012 Summer Olympic Games. The game is the first to come in a yellow keep case instead of a standard white case. 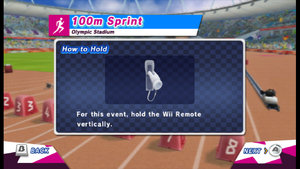 On the "How to Hold" screen, the Wii Remote is transparent. On Wii it shows up as opaque white. Versions of Dolphin before 4.0-9135 render the Wii Remote more or less correctly on the "Software Renderer" video backend, though using this backend is not recommended. Refer issue 9474 for more information. When you play as Mii a face problem can happen after you play. Refer issue 2112. The graph below charts the compatibility with Mario & Sonic at the London 2012 Olympic Games since Dolphin's 2.0 release, listing revisions only where a compatibility change occurred. This page was last edited on 16 January 2018, at 08:07.